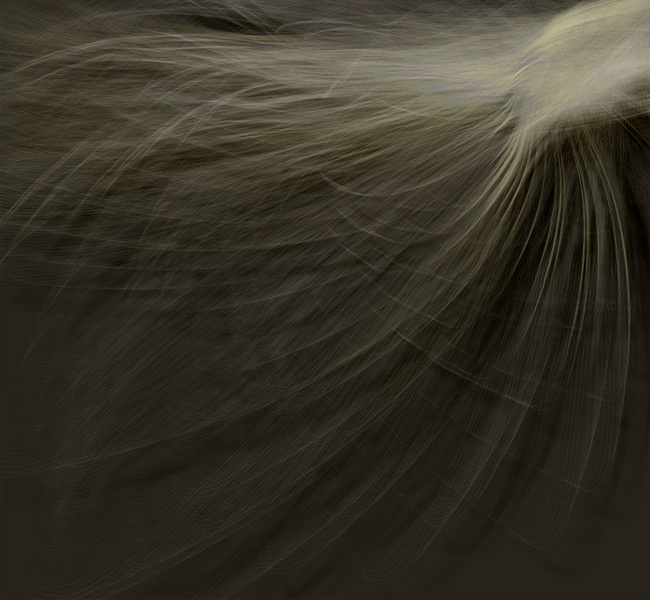 Nebula is a work of generative art that we have often used to demonstrate the capabilities of NodeBox (Frederik De Bleser, Tom De Smedt & Lucas Nijs, 2003), an application for generating 2D graphics from Python programming code. For a complete description of the Nebula algorithm, refer to Modeling Creativity: Case Studies in Python (Tom De Smedt, University of Antwerp Press, 2013). 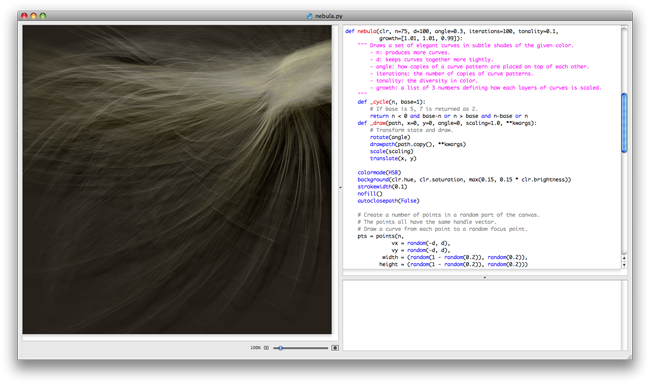 Screenshot of NodeBox for Mac OS X with a rendered variant of Nebula. 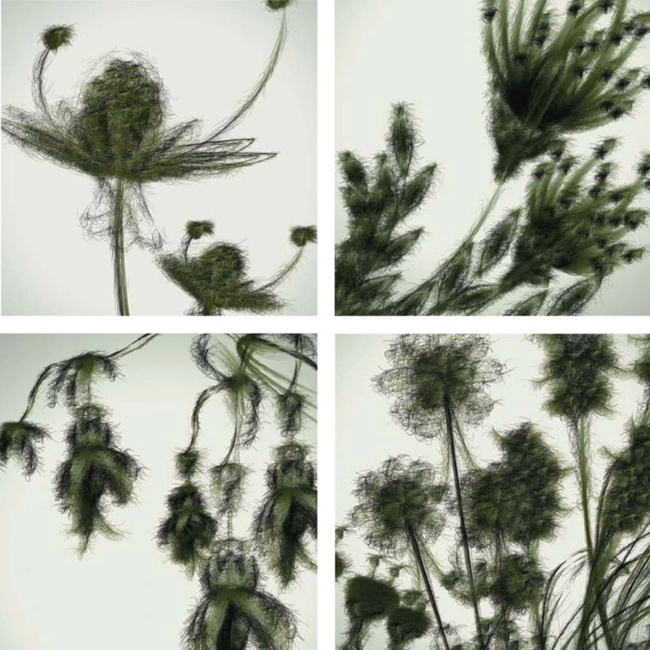 Generative art is a rule-based form of art inspired by nature and emergence, and using programming techniques from the field of Artificial Intelligence. In the Nebula algorithm, one of the rules is that curves will bundle into groups that (with some degree of freedom) follow the same curvature and coloring. Multiple bundles together then produce an organic pattern that resembles waves. Variations of Nebula; each time the algorithm is executed it produces a different variation. 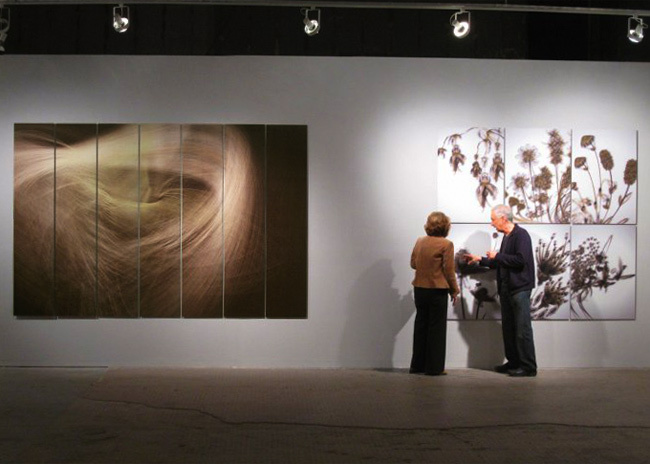 The work was exhibited at the Creativity World Biennale 2010 (Untitled Gallery, Oklahoma City, USA) as part of a Flemish delegation (Nick Ervinck, Els Vermang + Manual Abendroth, Tom De Smedt + Ludivine Lechat) competititvely chosen from a call for proposals issued by the Flanders District of Creativity. 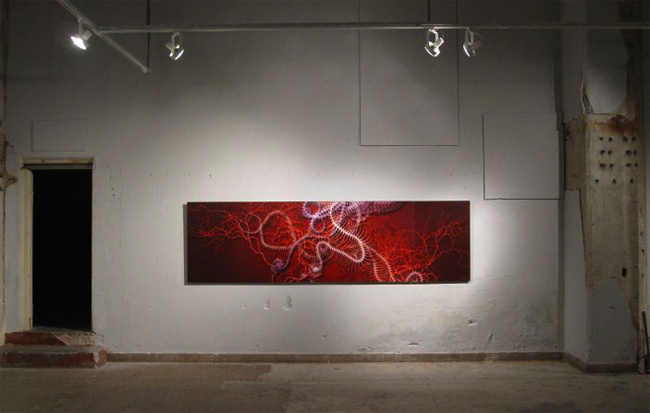 Nebula, Superfolia and Creature @ Creativity World Biennale 2010, Untitled Gallery, Oklahome, USA, 2010. The other works shown in the pictures of the exhibition are called Superfolia (see below) and Creature. 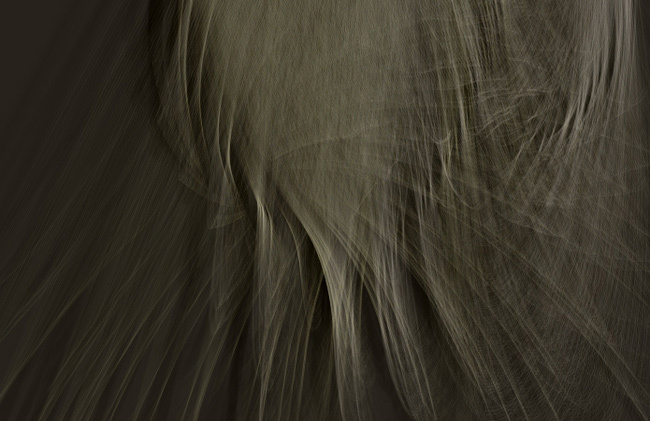 Both are also works of generative art produced in NodeBox. Superfolia. Ludivine Lechat & Tom De Smedt, 2006.